Photo courtesy of Cooper's Hawk. Photo courtesy of Gina Birch. 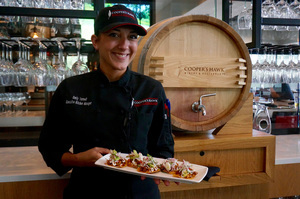 Southwest Floridians can travel across the country to Sonoma or Napa for the ultimate California wine-tasting experience—or they can get a taste of the real deal without ever leaving the area, at Cooper's Hawk in Naples. When people first walk in, most are amazed by the size of the tasting room. It’s full of wine, gourmet food items and trinkets geared toward oenophiles. The tasting bar can accommodate big crowds and is a popular spot for birthday parties and pre-dining congregating. While the tasting room certainly is unique to Southwest Florida, it’s the restaurant that seals the deal. Designed to bring the outdoors in, with lots of natural lighting, the design of this more than 10,000-square-foot space is contemporary rustic. The menu is also expansive. Emily Yarnell, executive kitchen manager, says, “The variety, the menu, it’s pretty big. It spans lots of cuisines, so you can bring a whole group and everyone can find something they like.” One of her favorites is the short rib risotto, comfort food at its best with a rich mix of complementary elements that include mushrooms, sweet onion, shaved Parmesan and white truffle oil. 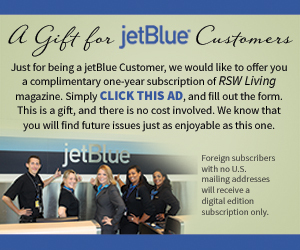 “It’s something that is executed flawlessly every single time; I always recommend it,” she says. The ginger soy-glazed New York strip is another crowd pleaser. The center cut is marinated for an hour in a machine called the tumbler; prongs hold the meat, gently tossing it in the marinade before it’s grilled. The gnocchi is made from ricotta instead of potato and is sautéed, resulting in a lighter consistency than what is served at most restaurants. It comes with roasted butternut squash in savory sage-brown butter cream or in a hearty Bolognese with braised short ribs. For an appetizer, the Mexican Drunken Shrimp is perfect for sharing, if you can surrender the plate. They are bacon wrapped and served in a tequila lime butter sauce with guacamole. The portions here are generous, so if you’re not as hungry or watching your caloric intake, the Life Balance menu has selections and serving sizes all fitting in the 600-calorie and under range. 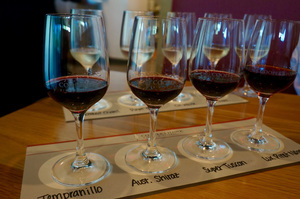 There are dozens of wines on the menu and special selections in the tasting room every month. It can be overwhelming to a first-, even second-time diner. That’s where Cooper’s Hawk elevates the dining experience by taking the guesswork out. Wine-pairing suggestions are offered for every single menu item, including the desserts. You can also order wine flights: four small pours of red, white, sparkling and more to taste side by side. Dessert wines include those made from fruits other than grapes, as well as an ice wine and a port-style red; it goes nicely with the s’more budino. Reminiscent of childhood, a thick layer of toasted marshmallow caps a clear glass full of caramel custard, Valrhona chocolate mousse and brown-butter toasted graham cracker. It’s insanely sweet. Consistency is an important word in the kitchen culture at Cooper’s Hawk, not just in the day-to-day service, but also from restaurant to restaurant, from Illinois to Florida. 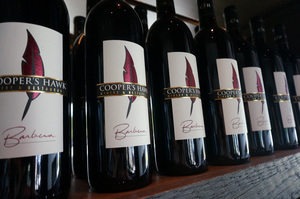 McEnery searches wine regions worldwide, sourcing grapes for the Cooper’s Hawk brand. It’s not just served in the tasting rooms and restaurants, but also purchased monthly by members of the popular wine club. For as large as the restaurant is, it stays booked; reservations are suggested. Cooper’s Hawk celebrates its 12-year anniversary this October. There are now eight restaurants across the Sunshine State, nearly 30 nationwide. 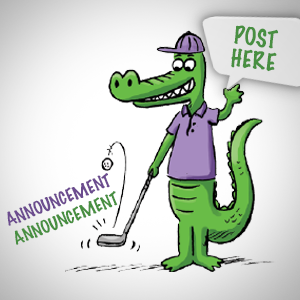 Monday – Thursday: 11:00 a.m. – 10:30 p.m.
Friday & Saturday: 11:00 a.m. – 11:30 p.m.